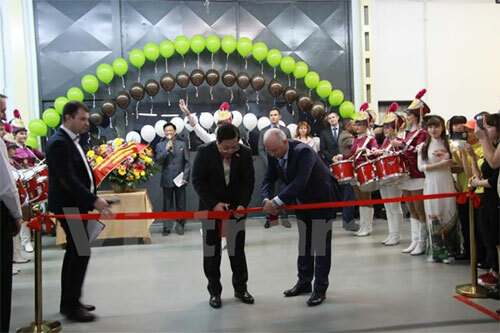 A Vietnam light industry zone was inaugurated in Serpukhov city, Russia’s Moscow Region on November 8, hosting garment and textile firms that employ 280 workers, most of whom are Vietnamese. The zone covers an area of about 2 hectares and will be expanded in the future. Each month, factories in the zone supply about 60,000 products to the market with a value of about 40 million ruble (627,741 USD). The project is also expected to become a friendship bridge for Russian and Vietnamese people, while solving illegal labour problems. Addressing the launching ceremony, Moscow Region Vice Governor Denis Butsaev said that Moscow strongly supports this important project, which was initiated in 2013, as well as pays attention to developing its partnership with Vietnam in general. 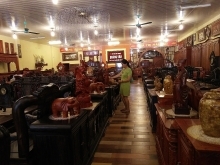 Vietnamese businesses are operating actively in Moscow’s outskirts with many investment projects in various fields, including light industry, he noted. The inauguration of the zone reflects efforts of Vietnamese investors in making their business operation in the host country transparent and legal, he said. For his part, Vietnamese Ambassador to Russia Nguyen Thanh Son thanked leaders of the Moscow Region for backing Vietnamese enterprises. He held that the operation of the zone is the continuity of the active cooperation between Vietnamese localities and Moscow. 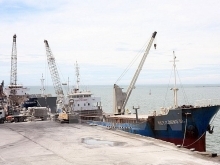 Last year, leaders of Moscow Region and Ho Chi Minh City signed an agreement on the establishment of the light industry zone, he said, revealing that administrative procedures for the project are being finalised. On the occasion, the diplomat asked the Vietnamese community working in the zone to abide by the law of the host country, thus fostering the friendship and comprehensive cooperation between the two countries./.